UXDA - leading boutique UX Design Agency for finance that helping online banks and fintech startups to engage their customers with delightful user experience through user-centered design. TOP3 Innovative Banking providers according to European Fintech Awrds 2016. In past 3 years our UX consultants and UI designers successfully architected 30+ user interface solutions for financial industry. We combine design with scientific approach based on cognitive psychology to ensure solutions that delight customers and solve their problems. Our team would be happy to make your online service design simple and clear. We are experienced in digital banking, fintech, payments, forex, CFD, fast loans and charity. Our service includes usability/business/customers research, information architecting, ux strategy, ux consulting, ux architecting, user journey mapping, web ui design, mobile ui app design, tablet ui design, wearable ui design, ui prototyping, testing. At the beginning we ordered a free express analysis of our charity website. We got recommendations for improving conversion. We were able to implement them by our own. Immediately after that we noticed that our donations doubled. It sounds like magic, and it’s about additional 20 000 euros annually for those who need help! Now we have ordered and received a complete redesign of our charity website. It has become clear, easy to use and more attractive. Main insight is to stimulate charity through emotional storytelling. Soon it will be available on labdaris.lv. User Survey showed that we can expect tripling donations as minimum. Before UXDesignAgency, we never met such approach of creating websites. We recommend you to request a free express-analysis. 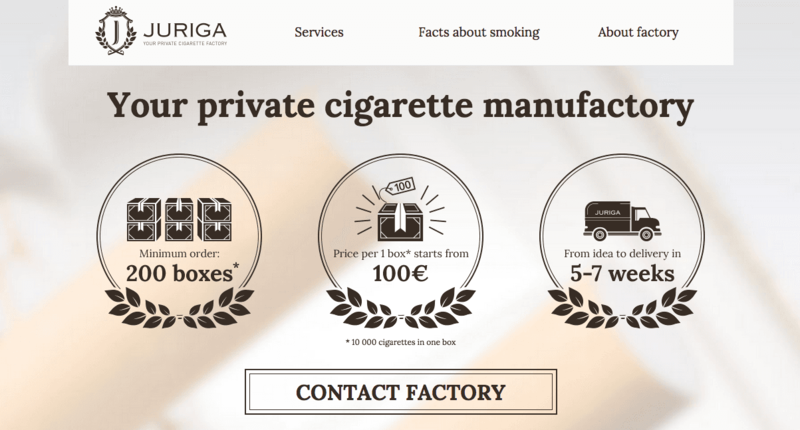 Delightful website for our cigarette factory! UX Design Agency team are real UX masters, and they did amazing job! They helped us to create positioning of our service and show it through clear and engaging design. We even don't use any sales presentation right know, it's fully enough to send link to client. UXDesignAgency did a great job for us. They talked to our customers to find out insights about users behaviour. They cleared up our sale points and positioning and redesigned our users journey. All of that drastically increased our conversion through web channel. Also we got new logo and brand book. Thank you guys! "Delightful website for our cigarette factory!" "These guys are wizards, we have doubled our donations after free express analysis"